Website Consultants | Chinese Language Website Design Company for Melbourne Businesses. We Translate Your Business. Chinese Language Website Design Company for Melbourne Businesses. We Translate Your Business. Need a Website to Capture English or Chinese Speaking Customers? Contact us to find out how you can capture these online leads. Websites, Search Engine Marketing and Bilingual Chinese. Contact us to find out how you could benefit. We skillfully target your English and Chinese speaking customers with attractive, mobile responsive, search engine-optimised (SEO) websites. We are bi-lingual giving you confidence that your website is carefully crafted in its chosen language and is well understood by your customers. Our certified SEO Services will drive you more leads – Ask us how. Experience a boost to your business with a mobile responsive website that gets you found on Google. Contact us for your free consultation on bi-lingual (English and Chinese) websites and SEO services. Website Consultants know how to make you the expert in your field online. We will evaluate your business and products, and work with you towards your goal for the website. Do you want to generate walk-in sales? Online sales? Will your site be for informational purposes only? Once these and other questions are answered, your site will be designed to meet your specific needs. DIY site building software limits your website’s capabilities and often restrict graphics and text. At Website Consultants, we are not captive to those restrictions and even better, we can translate and write up your website in Mandarin to specifically target local Chinese speaking buyers (yes – we speak it too). 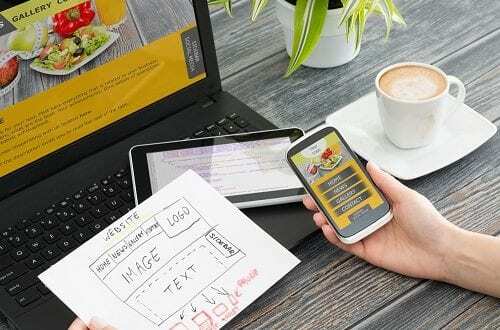 Read more on Chinese Web Design. Website Consultants will be able to find ways to convey your trustworthiness and credibility through the use of images and text. This lets site visitors know you are a real human on the other side that is worth doing business with. SEO or Search Engine Optimisation is a technique used to ensure that your website ranks highly on search engines and attract customer traffic. This in turn leads to new leads for your business. If search engines cannot find your website easily, your potential clients will not either. Website Consultants know how to optimise your site in order to be found. The Internet moves and changes every day. New technologies and new ways to draw visitors to your site happen each and every day. When you engage Website Consultants, you can be assured that the site is being created with the latest technologies and according to the latest trends, for optimal success. Many DIY site building software will not allow video, RSS feeds, or links in your website and worse, are not SEO compliant, which can adversely affect your site. Did you know that once a website is built it is never complete? Websites must have continual maintenance to keep them current and relevant to their industry. Technology is continually changing, and for websites to remain popular and successful, they must remain up-to-date with these trends. At Website Consultants, you benefit from our webmaster services to keep your site updated and fresh. Rest assured that your website is being built by qualified graduates of eBusiness Institute – Australia’s leading training ground for Australian digital entrepreneurs. We have invested in the latest in digital education so that your business can benefit from leading edge digital trends. See our certifications and awards. Call Us or use our Contact Us form to submit your enquiry. Website Consultants, the trusted SEO specialists and Web Designers in Melbourne’s eastern suburbs. We are Chinese bi-lingual and can build your website to target local Chinese speaking buyers in Australia. We have digitally propelled local businesses to thrive in Melbourne CBD, Richmond, Hawthorn, Camberwell, Balwyn, Doncaster, Box Hill, Ringwood, Croydon, Chirnside Park, Knox, Boronia, Glen Waverley, Mount Waverley and surrounding eastern suburbs of Melbourne. Not from those areas? Don’t worry! Contact us and we can discuss.